A new business has taken flight and it is aimed primarily to help and supply bird lovers all over DeSoto County and beyond. 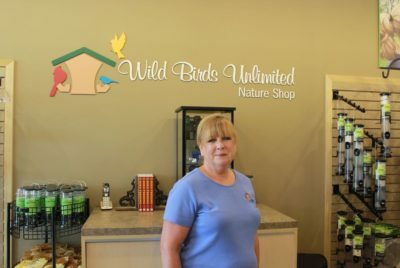 A Southaven couple last week opened the latest franchise location of the Carmel, Ind.-based Wild Birds Unlimited Nature Shop. It is located at 5847 Getwell Road in Southaven. Sandra and Dave Ehrlichman both have been involved in the aviation industry, so it almost seemed natural that the winged creatures that they enjoy in their backyard would be the catalyst for them to land from their careers a bit and head into the business world. “I’ve always enjoyed the birds and sitting in the backyard watching the birds with my husband one day, I remembered some friends of ours had the store in Memphis,” Ehrlichman said. “I dashed off an email to the corporation and asked for information about the franchise, and they called me within about 24 hours.” Ehrlichman said the couple then started a process of learning about the industry and learning about the corporation, a process that was quite extensive. “We just on faith kept moving forward,” Ehrlichman said. “They have criteria that you need to meet and one of those is interviewing other franchisees to ask them questions. I really didn’t know anything about running my business, but the corporation has a wonderful support system.” That support system includes a business coach who checks in with Ehrlichman each week and IT support if there is a problem with the store computer programs and cash register systems. Her previous work as a flight attendant and flight attendant instructor for Delta Connections airline has helped her bring strong customer service skills to the store. “That was my big thing as a flight attendant,” Ehrlichman said. “That was my job, to interact with the customers. I want people to feel happy when they come into the store and happy when they leave. It really is a joy!” Ehrlichman said they reviewed several locations for their store to settle into once they determined to move ahead, but the Getwell Road spot couldn’t be topped as their ideal spot to be. “Goodman Road is getting so busy, and Getwell Road is getting that ready,” Ehrlichman said. “This was actually the first place we looked at and I liked it for two reasons. We get good visibility for people traveling on Getwell north and south and the space is as much as we need now. It also helps that we live a mile behind us.” Ehrlichman said there will be more than just birdseed found inside her store. “They will find an assortment of different kinds of food for your backyard birdfeeding hobby,” she said. “If you like squirrels, we have things for the squirrels and if you don’t like the squirrels, we have ways to deter them. We have nature-themed gift items and yard ornaments, pretty much anything that you need to feed whatever that you want to feed in your backyard.” Ehrlichman also knows there is a demand for the type of merchandise Wild Birds Unlimited can provide and customers are glad the store is open. “I had people come by, look into the window and see that we were getting product in,” Ehrlichman said about the early visits while they were getting the store stocked for last week’s opening. “If people came by and we were in here before we opened, we would let them in. We’d explain we weren’t open yet, but we would show what we were going to have, thank them for stopping by and give them a little starter bird feeder and bird feed for them to try.” The bird seed that is found is not similar to what may be purchased at other stores. Ehrlichman said it is better, because studies have shown birds are more apt to eat more of their seed than other brands, kicking out the extra “chaff” that birds don’t like. “A lot of the ‘big box stores,’ in order for their seed to be less expensive, put fillers in it that the birds don’t like and they tend to kick out what they don’t like,” Ehrlichman said. “In our feed, you’re still going to get some of the stuff that the birds will kick out, but it’s stuff the ground-feeding birds, like the doves, are going to eat. While it appears to be more expensive, it is not, because everything in there is going to be edible by the birds.” That means, get ready to welcome a host of birds to your backyard, from cardinals, hummingbirds, goldfinches, Carolina chickadee, and other varieties, all common to the area. Wild Birds Unlimited is open from 10 a.m.-6 p.m. Monday-Saturday and from 1-5 p.m. on Sunday. It has a Facebook presence at Wild Birds Unlimited of Southaven and may be reached by phone at 662-510-5626. Bob Bakken is Staff Writer and may be reached at 662-429-6397 ext. 240.